According to Gartner, by 2022, more than 75% of entities that intend to manage commerce or technology engagements including regions, states, and countries worldwide will have begun to change their privacy regulations to follow the example of the GDPR. GDPR has driven a global movement of more mature privacy and data protection laws. California Consumer Privacy Act (CCPA) is a bill that was passed by the California State Legislature and signed into law on June 28, 2018. The intention of the act is to provide enhanced privacy rights and consumer protections to residents of the state of California. The CCPA will become effective from January 1, 2020. Having a thorough understanding of CCPA regulations is a must to any of the entities as violators are entitled to be fined. When it comes to privacy, identity and access management (IAM) plays a major role in assisting with regulation compliance efforts. How can enterprises prepare for it? 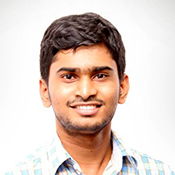 Jayanga is a member of the WSO2 Identity Server team and he has almost half a decade of experience in IAM and related domains. He is one of the key members who spearheaded the WSO2 effort in making products GDPR complaint. As a tech enthusiast, he has contributed to multiple open source projects. His interests are in enterprise application development, application security, and distributed computing.